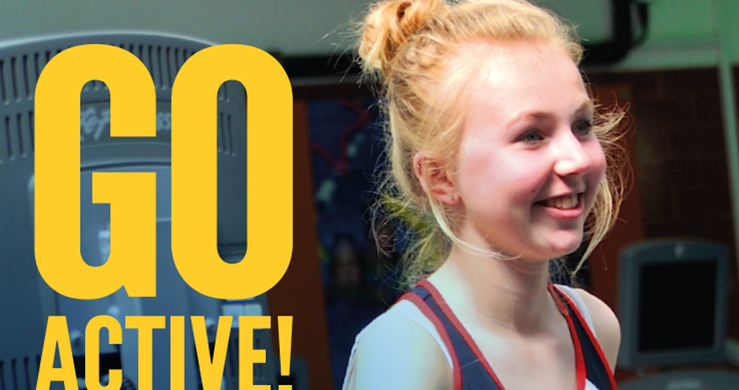 YMCA Fylde Coast believe in providing young people with affordable opportunities to keep them active and healthy throughout the year, enabling them to continue their active journey with us into adulthood. This summer we have a range of activities especially for young people. We have also reduced our annual Junior Go:Active and Kids Aqua memberships by 50% until August 31st 2016. Our young people are the future, helping us to build stronger and healthier communities for many years to come. Exercising After Your Pregnancy. Some Helpful Tips……. Many new mums are desperate to get back into shape following the arrival of their bundle of joy and for others it is the furthest thing from their mind! However the real reason behind the importance of beginning to exercise after pregnancy is not widely known and often overlooked. 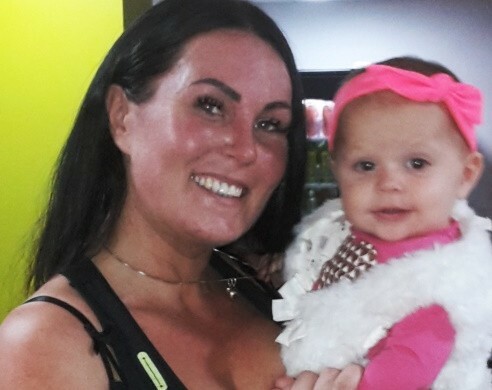 Claire Nutton is one of YMCA’s qualified pre and post natal fitness instructors and is based at YMCA Thornton. 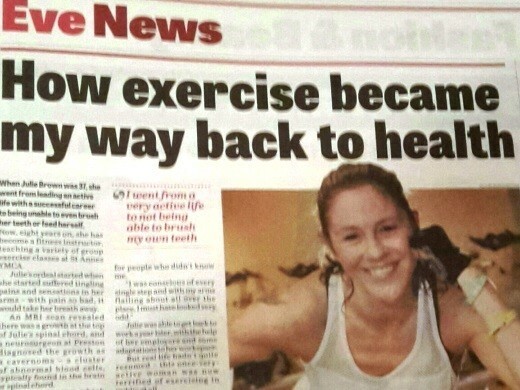 8 years ago at the age of 37, Julie Brown (now 45) of St Annes was suffering with tingling pains and sensations through her arms. The sharp pains she recalls would take her breath away. An MRI scan revealed there was a growth at the top of Julie’s spinal chord and she was referred to a Neurosurgeon at Preston who diagnosed the growth as a Cavernoma, which is a cluster of abnormal blood vessels typically found in the brain or spinal chord. A cavernoma looks a little like a blackberry.